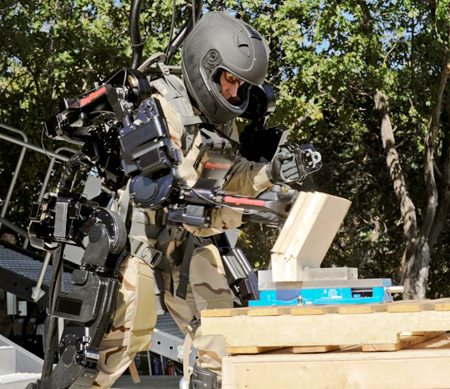 Raytheon has developed a wearable robotic suit to help with many logistics challenges faced by the military in and out of combat. 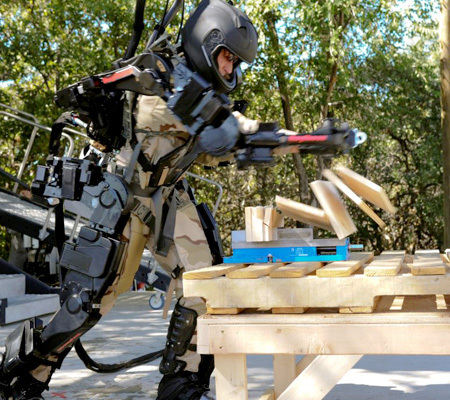 XOS 2 exoskeleton does the heavy lifting for its operator, reducing both strain and exertion. One operator can do the work of two to three soldiers. Cool, this could help out in so many ways, and James: PT test? I’ll take one of them thanks! Nice, but I think I prefer the japanese version of this suit. It looks sleeker and is even stronger than XOS2. Keaton: PT stands for Physical Training. 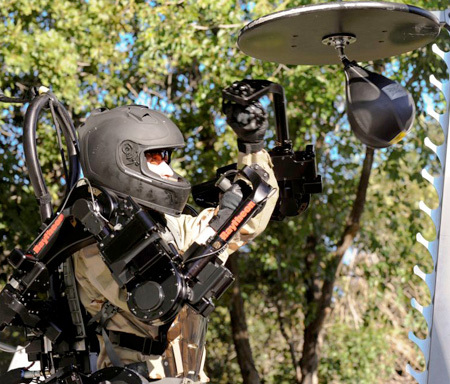 Imagine if it had a built in jetpack. Imagine the marketing ways to go with that. But one thing that is really bugging me about this is the fact that isnt it heavy or what really will this help us with? forget the part i wrote about what the use of it is my bad! 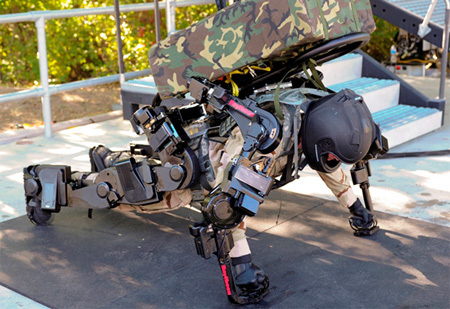 It would be extremely heavy, however due to the fact that it supports it’s own weight using exoskeleton legs it has it wouldn’t seem heavy to the operator. This was actually on the history channel in it’s early stages about a year ago. Glad they finally got a working version. 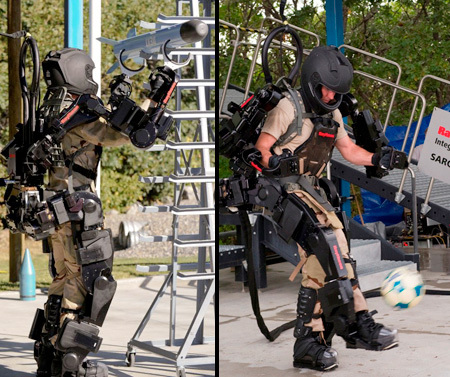 The HAL (Hybrid Assistive Limb) Robotic suit by the Japanese company Cyberdine (coincidentall?) is has a better design technically and aesthetically. Actually, I think it’s more like the loaders used in Aliens to load up the missiles. Still cool though. this is the technological breakthrough we have been waiting for! !, id say in about 10 years this will be perfected and more sleek nd stuff. Um… Yes? This would help (Without cord of course) military, and maybe eventually even plain old workers to do their jobs. Looks awesome! except i think this guy has a power cord!!! See pictures 3 & 4 after the vid. would look pretty funny on the front line with a few of these bad boys plugged into a huge power strip! This would be great for field workers, especially in heavy lifting. My guess is that eventually these will be produced at a large scale for construction industry or others. I bet the battery life is only 15 minutes if untethered.